Why I Can’t Wait: Man I love pirates! This sounds like a wicked awesome adventure that I cannot wait to be taken on! Lu, Vex, and Ben sound like they will be amazing characters. Great pick. Thank you for stopping by my CWW earlier. This is the first time I’m hearing about this book. It sounds really interesting and that cover is beautiful!!! Right? The cover is very striking! Wow, what a cover. So glad you shared this one. I’m gonna be watching for some reviews! I can’t wait for the reviews! This is new to me, but I love that cover and I definitely need to add it to my list. Thanks for sharing! I loooooooooooove this book’s cover! It sounds awesome too. 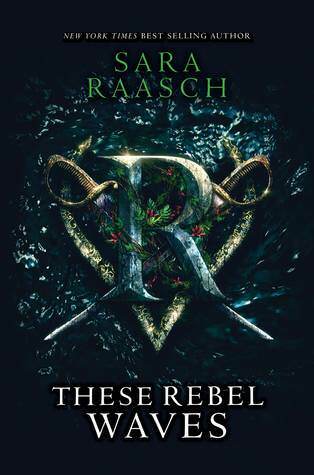 Sadly Raasch’s debut series did not work for me so I’m going to wait on this one. But I am hoping the book/series will be good. I hope you enjoy this book when you get the chance to read it! Thanks, Alyssa! I haven’t read any of her previous work so it sounds like this may be the first for me! Pirates! Oh IA with you, pirates are a definite plus — and what a striking cover!